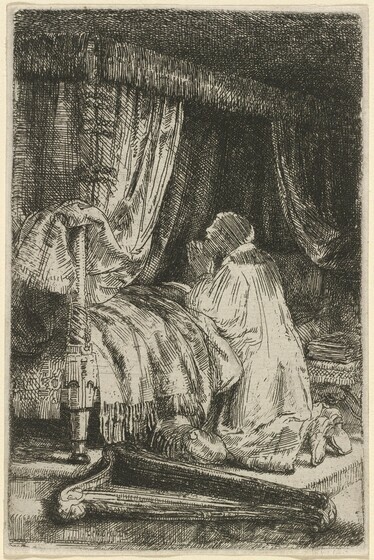 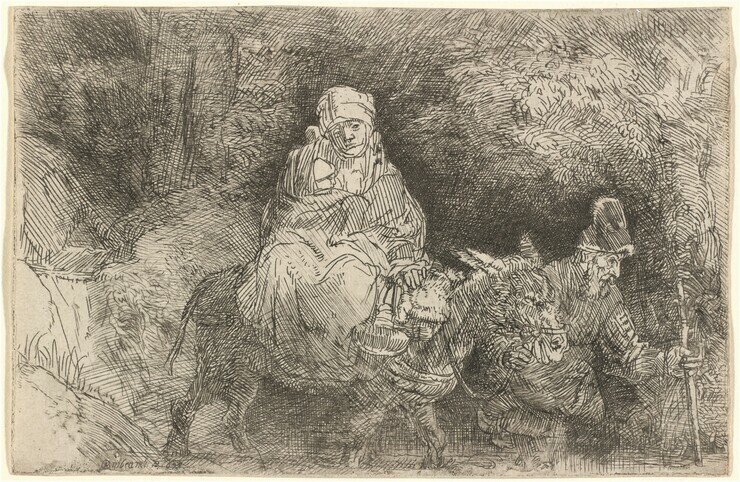 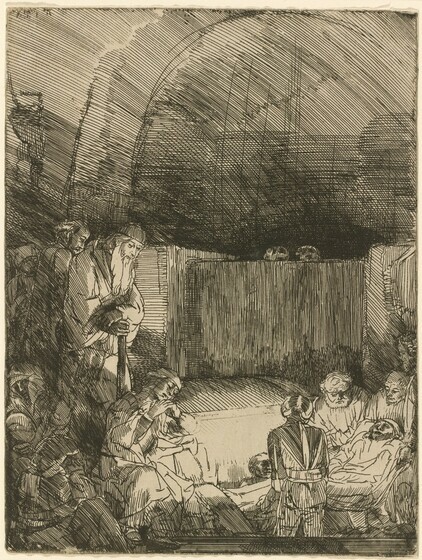 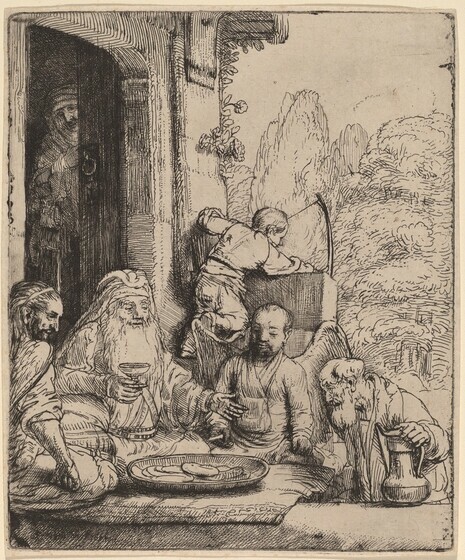 Rembrandt, one of the greatest interpreters of biblical stories, turned to the Bible as a source of inspiration for his etchings throughout his career, but particularly during the 1650s. 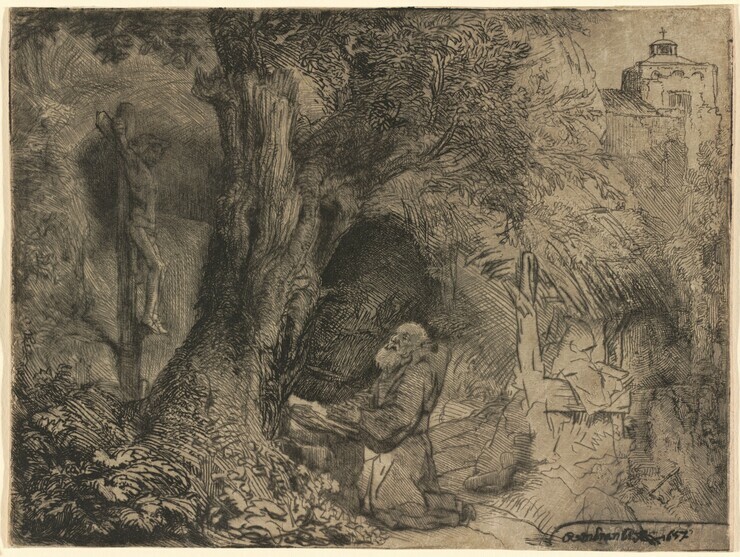 He depicted not only scenes from the Old Testament and the Apocrypha but also stories found in the New Testament, particularly those centered on the life of Christ. 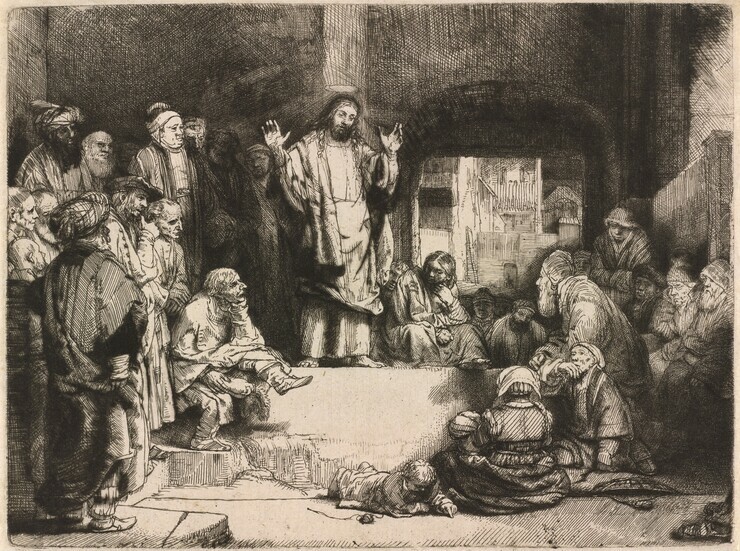 He always demonstrated a remarkable empathy for the human dimension of these accounts, whatever their theological implications. 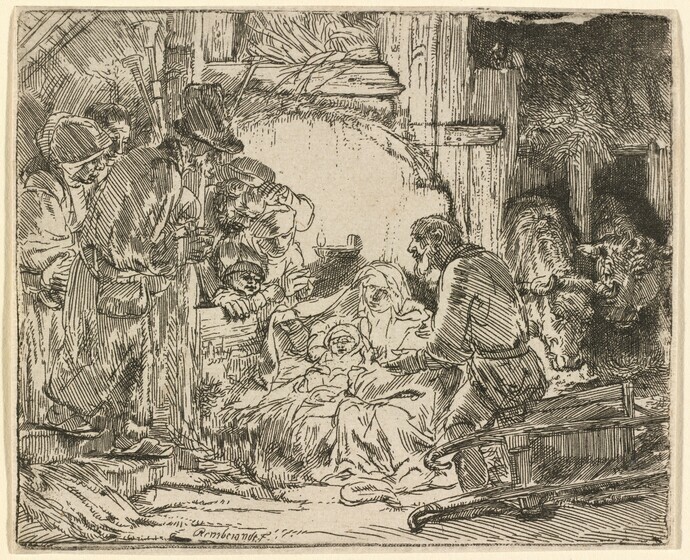 Whether portraying Old Testament patriarchs such as Abraham at moments of spiritual crisis, the Holy Family at rest in a simple dwelling, or Christ preaching, Rembrandt transformed the written word into vividly compelling pictorial language. 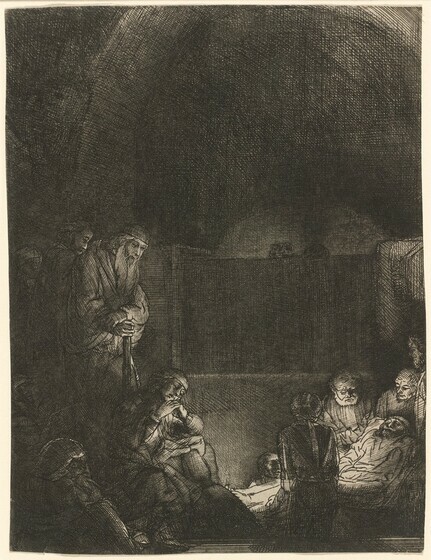 He made at least two print series, one devoted to the childhood of Christ and one with scenes from Christs life and resurrection, both of which are on view in this room. 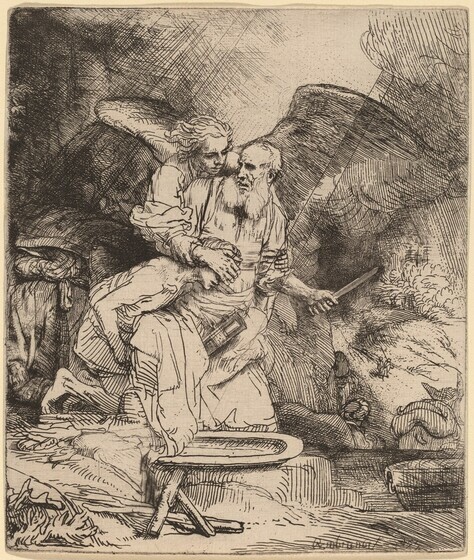 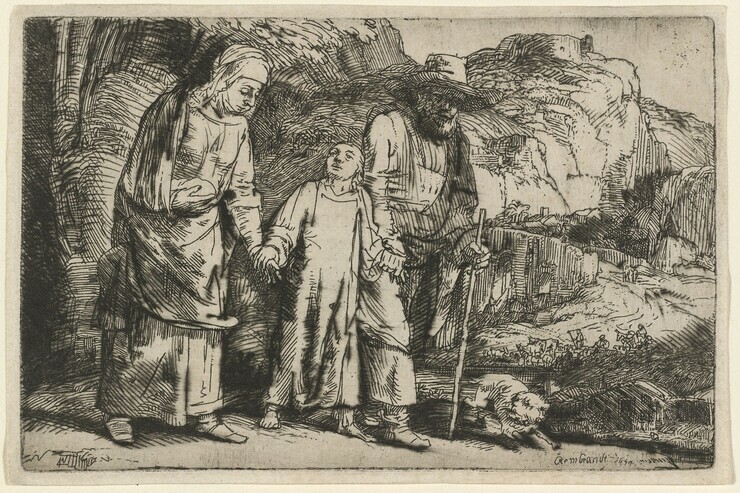 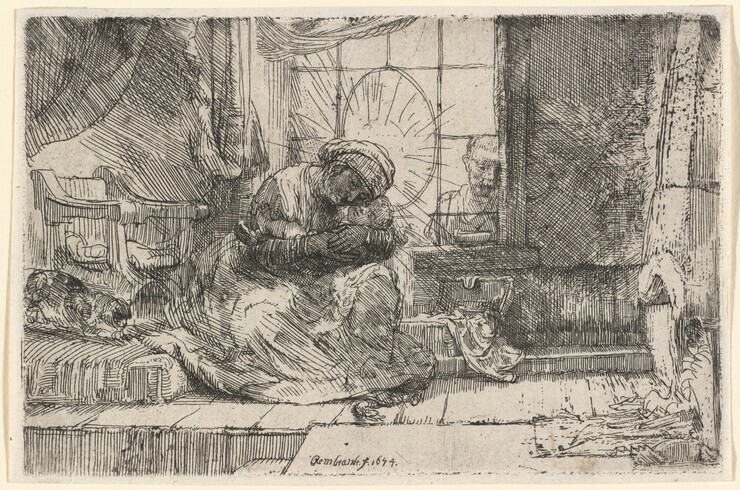 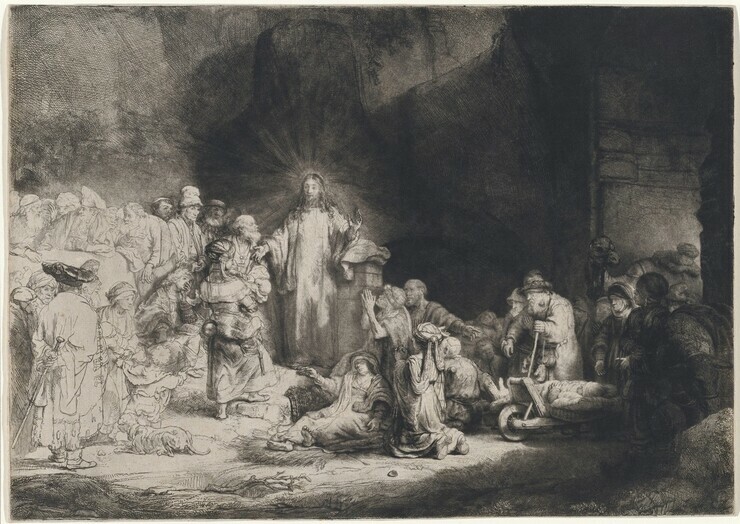 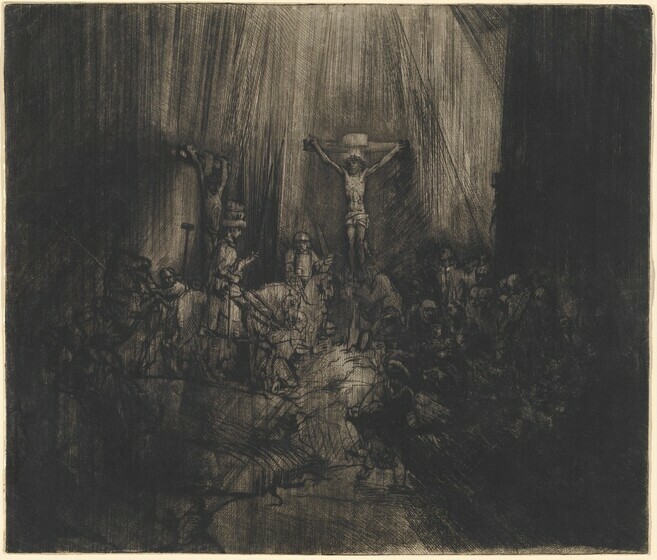 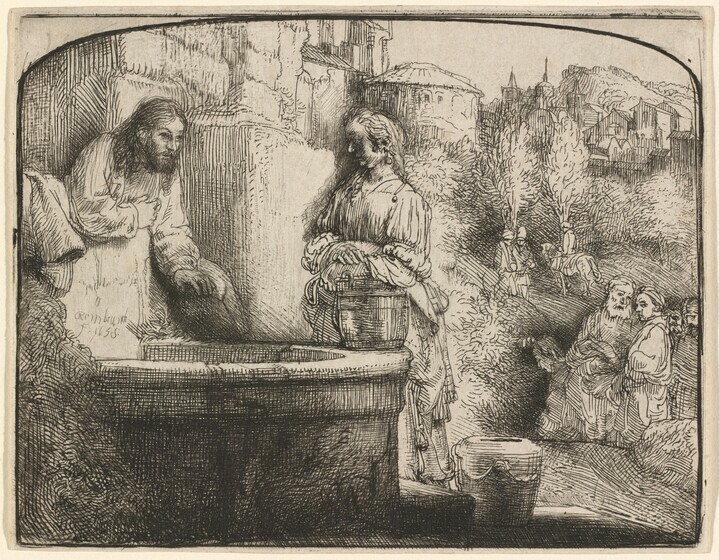 A master printmaker, Rembrandt exploited the etching medium to its fullest, finding within it unprecedented opportunities to express both the natural and spiritual qualities of light in his biblical scenes. 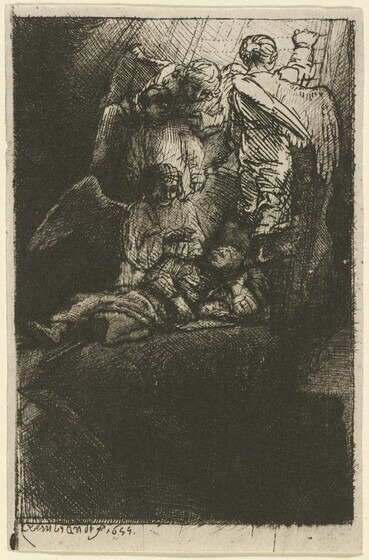 He often reprinted his plates in new states as he amended his compositions, frequently by adding drypoint to enhance the velvety textures of materials or the deep darks of shaded areas. 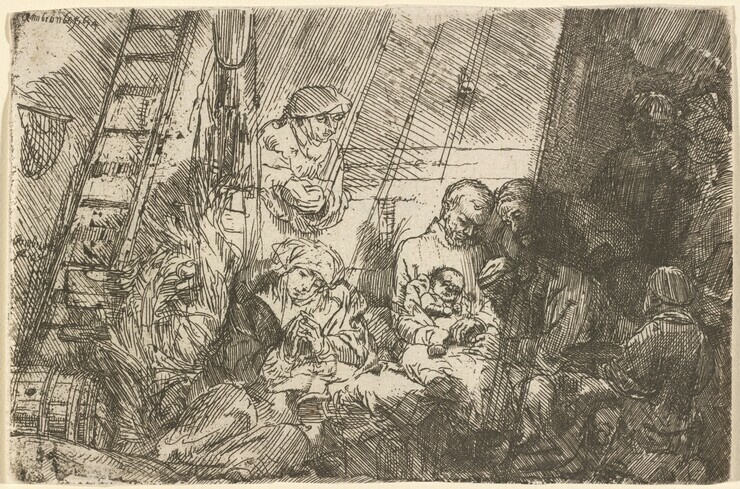 Rembrandt experimented with the inking and wiping of his copper plates to create tonal effects that would shape the dramatic character of his scenes. 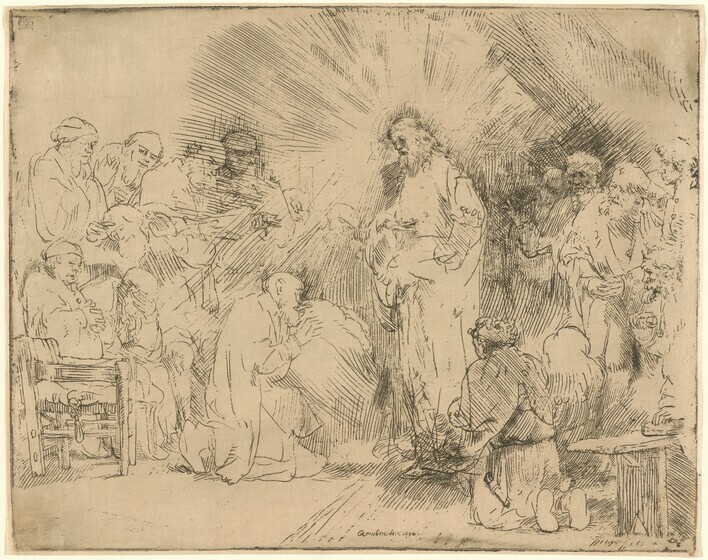 For the same reason, he also experimented with different types of papers; in some, the ink penetrated the paper deeply, while in others, it lies largely diffused over the surface.